Here comes Peter Cottontail....Hippity-Hoppity, Easters on it's way. 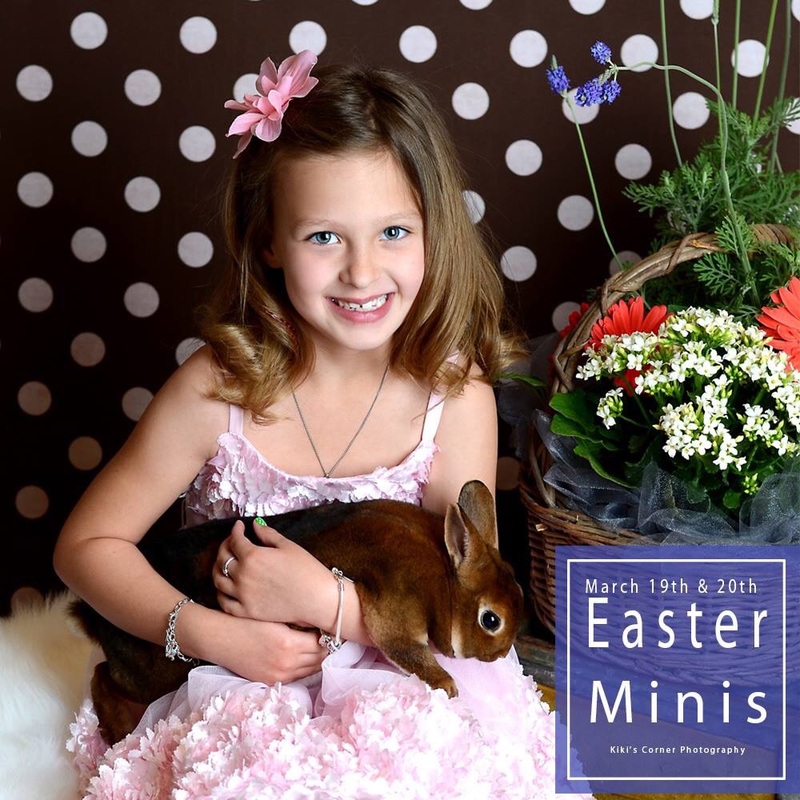 This is our fifth annual Children's Easter Minis. Oh how we love to see your babies grow! We will have two sets to choose from. Message or email us to reserve your spot on March 19th or 20th. I cannot believe this little cutie is turning three! I had so much fun spending time with Mr. W and his mommy. Happy birthday Mr. W. It's so fun watching you grow! Part of the Kiki's Corner Photography experience involves designing custom albums for clients. Seriously, who has the time to scrapbook anymore? I use to scrapbook all of the time and I really enjoyed it. But, life seems to be flying by at record speed and as a mom, I simply don't have the time to devote to creating scrapbooks like I once enjoyed. My clients are the same way. I thoroughly enjoy creating custom albums for my clients. These are albums that will hopefully be treasured for generations. I just completed a yummy newborn album for some very special clients. I cannot wait for the custom designed album to arrive. It is absolutely sugar and spice and everything nice and filled to overflowing with these beautiful girls!